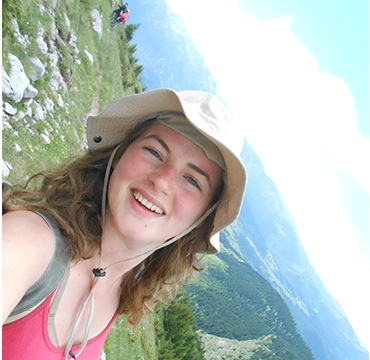 Maja developed her love for the mountains in her childhood, hiking with her dad in the Macedonian mountains. After pursuing a career in political journalism in London and working in the media for over 20 years, she started coming back to the Macedonian mountains in 2011 looking for a source of inspiration. Remembering sites that she had visited in her early life, she found that although new borders and countries had emerged in the Balkans, the mountains, seas, forests and lakes had a permanence in their beauty. 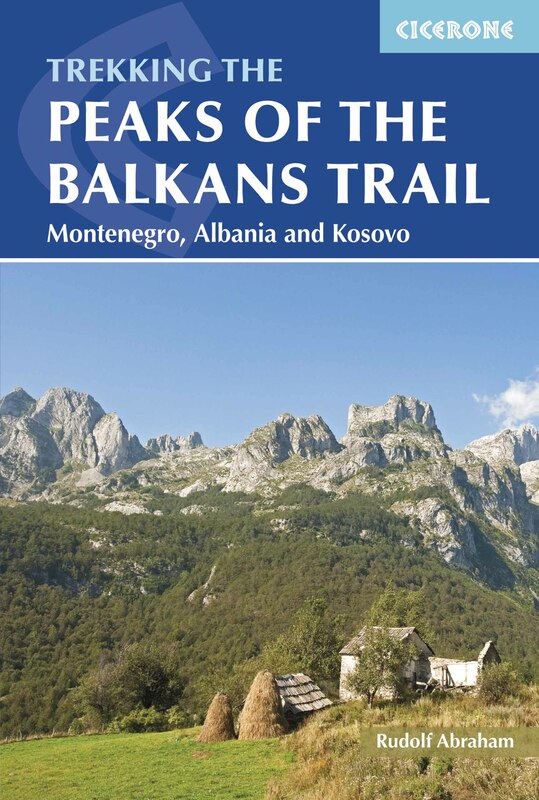 The trails took her all over the Balkans, which is how Hiking the Balkans was born. Aside from trekking, Maja loves skiing and swimming in mountain lakes. 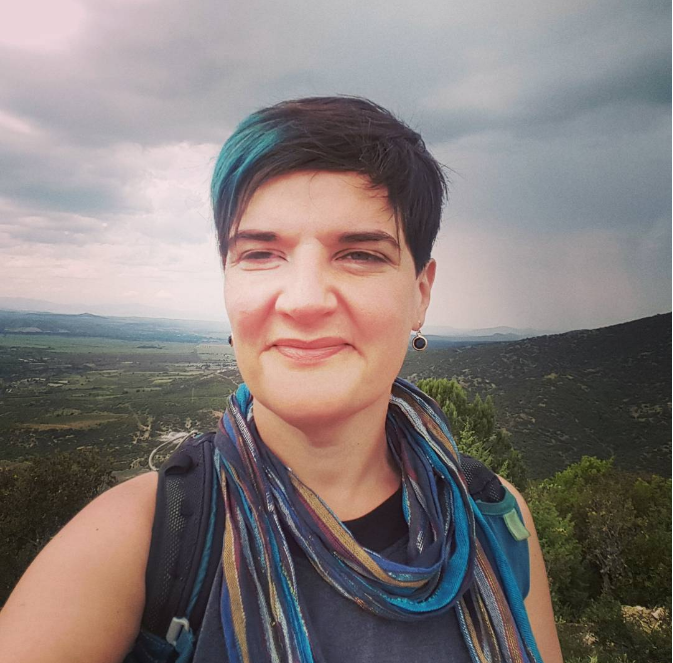 Leonida Bassa, a travel professional and a passionate tour guide, is co-founder of Hiking the Balkans. Born and bred in Macedonia, she has been arranging and hosting our trips since 2011, the same year that she graduated from the Faculty of Tourism at the University of Tourism and Management, Skopje. Leonida has used her contacts in the travel industry to design and arrange our trips to Macedonia, Bulgaria, Kosovo, Montenegro, Greece, Serbia, Bosnia and Croatia and she is constantly creating future trips. 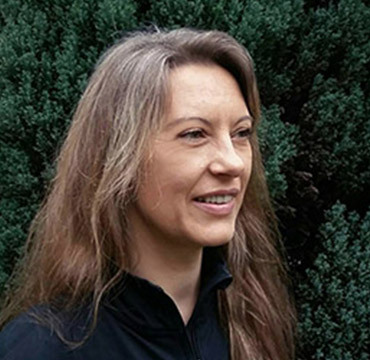 She is involved in the local Slow Food movement in Macedonia and is a tourism expert at the international Balkan association for alternative tourism, Balkania. Meto is our mountain guide in Macedonia. He is an archaeologist and has a great passion for adventures in the mountains. He spends most of the time skiing in the winter, mostly on the Shar Mountain, and climbing and hiking the rest of the year. His in-depth knowledge of the region’s cultures and history combined with his sense of adventure make trips guided by him fun, informative and unique. 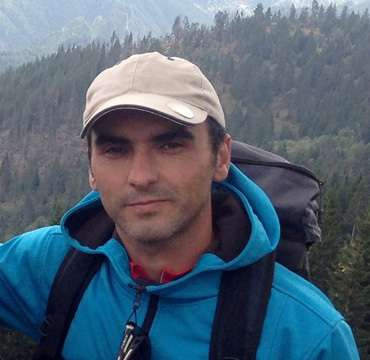 Jonche Ilievski lives in Bitola in Macedonia.He is a certified UIMLA guide since 2010. He inherited his passion for climbing mountains from his father, Dimitar Ilievski who is the first Macedonian and the 264th person in the World to climb Mount Everest in 1989. Jonche himself has climbed multiple peaks above 4000m, Grossglockner in Austria, Island Peak at the Himalayas, Kazbek in Georgia and many others. His other hobbies are mountain biking and off piste skiing. Jonche’s office is at 2601m above sea level, at the peak of Pelister mountain, where he works as an engineer maintaining the TV transmitting antennae. He has been involved in setting up and maintaining trails on Pelister mountain and he loves researching new hiking trails in his free time. Mio Spasic has been mountaineering for over 15 years and has a deep passion for the Balkan mountains. Born in Dubrovnik, he lives in Montenegro but spends a lot of his time in the mountains all over the Balkans, especially doing his favourite activity, mountain biking. Mio graduated from the Faculty of Tourism of the University of Montenegro, Kotor in 2011 and aside from his native Serbian, he speaks English and German. His three greatest loves are his wife, the mountains and Balkan food. Bujar Zeka is an experienced mountain guide who loves nature and sharing the beauties of the region from which he originates, the western part of Kosovo. He started Rugova Hiking, who are our partners in our adventures in Kosovo. Bujar is the true epitome of traditional Balkan hospitality and friendliness, and goes out of his way to ensure that visitors have the best possible experience while visiting this hidden Balkan gem. Stoyan is our “man in the field” in Bulgaria. 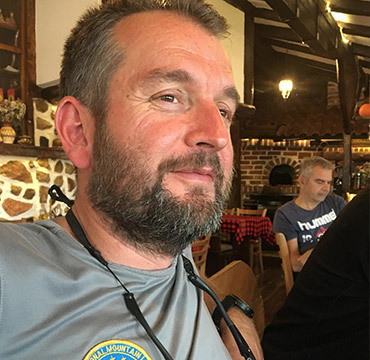 With 14 years of guiding experience, Stoyan has insider knowledge of the Bulgarian mountains and he specialises in trekking tours and intense winter and summer mountaineering. He is constantly on the lookout for new and unique natural and cultural experiences that he adds to the tours. His original ideas have contributed to many wonderful experiences during our trips. 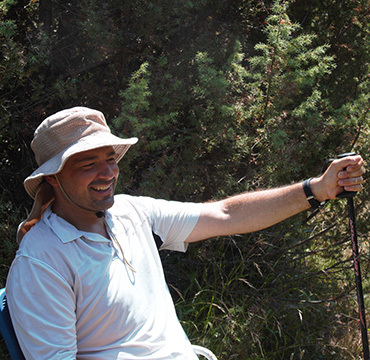 Stoyan works as a guide in Bulgaria, Romania, Greece and Turkey. He was awarded a Mountain Leader Award by the Bulgarian Mountains and People Association. 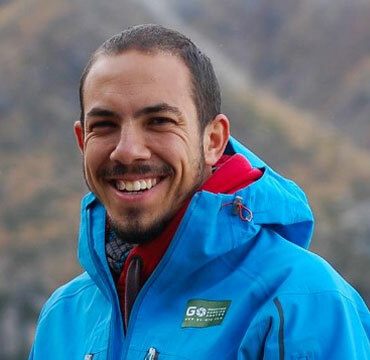 Vlatko Bulatovic has been working as a mountain guide since Montenegro became independent in 2006 and he turned his passion for the local mountains into a livelihood, supporting his young family. He was team leader for the Montenegrin section during the creation of the Peaks of the Balkans trail. He established an annual spring camp in Montenegro where he gathers an international crowd that helps clearing paths and building shelters for hikers. He has been working with us since 2013 and leads our trips to Montenegro, Albania and Bosnia. He is constantly researching new trails and looking for the best spots for swimming in mountain lakes and waterfalls. 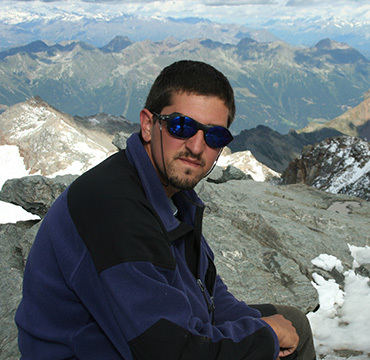 Asterios was born and raised in northern Greece where he loves to hike, ski, cycle and climb all year around. 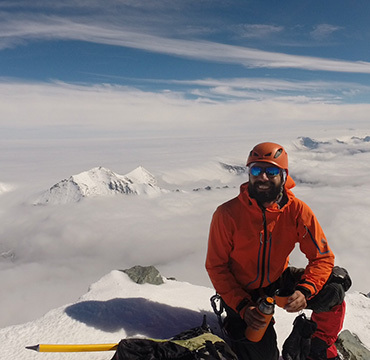 He is a ski instructor by the Bulgarian Ski School, and has attended numerous climbing and mountaineering schools by the Greek Mountaineering Federation as well as seminars in Austria. 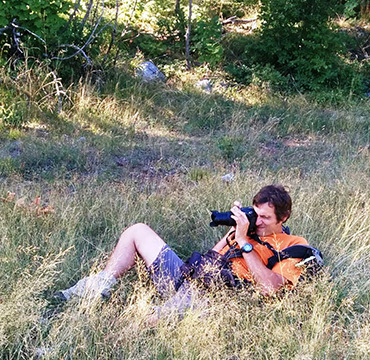 Since 2004 he is teaching ski and guiding nature lovers to the Greek mountains and not only. Asterios speaks English and Spanish apart from Greek and he really enjoys to listen to people’s stories and discuss with them by actively discovering the outdoors! Marija is our project developer and coordinator of the outdoor activities for Scandinavian travelers. As educated and experienced in Sustainable and Rural development, she devoted the entire career in the direction of supporting of local/rural businesses, such as rural tourism, production of local healthy food, promotion of natural beauties, rural traditions and culture in the Balkan countries, particularly in Macedonia where she is coming from. Her three-year working experience in Norway, as an economic diplomat for Macedonia, inspired her to continue the mission to widely open the Balkan doors to Scandinavians and join our team as a passionate lover in the nature, outdoor activities, good food, wine and rurality. Magdalena is a passionate nature lover. She joined the team in 2017 being attracted by our vision to spend more time in nature and to share the beauty of the Balkans with the World. Alongside with her legal career, she manages to retain the gentle balance between being close to nature and urban life. Her contribution to Hiking the Balkans is dedicated to promoting unique yoga retreats that combine our trademark activity – hiking with spiritual sessions. 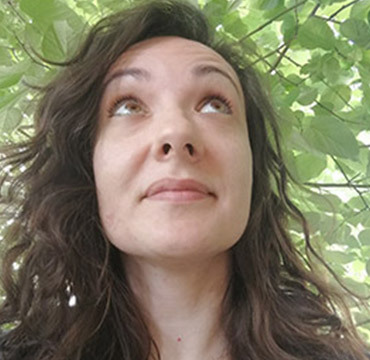 Magdalena is an active member of the Macedonian Ecological Society, volunteering in wildlife projects and participating in continuous ecological education of schoolchildren and adults.